Tinsel & Garlands pattern now on sale! 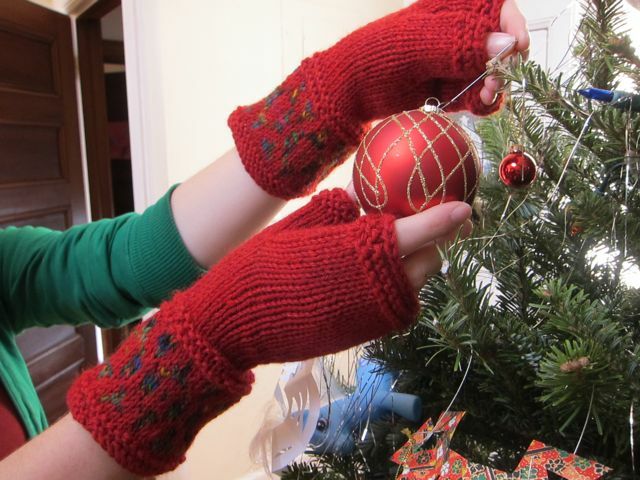 Its been almost a year since I promised you, dear reader, that the Tinsel & Garlands pattern (blogged about as "Meg's Mountain Mitts") would be available for sale. I do apologize for the delay, but now its available! Hooray! Easy, fun and quick to knit these fingerless gloves feature a long fairisle cuff with garter stitch edges. The simple peasant thumb makes them interchangeable left and right. Approximately 140 yards Worsted Weight wool in MC and 25 yards CC.